The customer is Public Joint Stock Company Pavlovsk Engineering Plant “Voshod”. Sphere of customer’s activity is manufacturing of electrohydraulic drives and aggregates for automatic aircraft control systems. 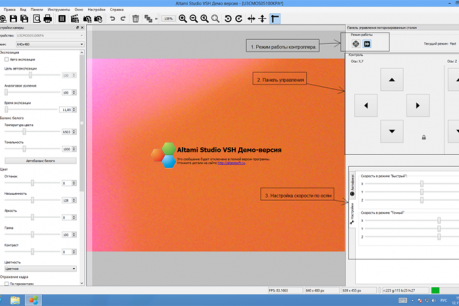 Working on the project, developers have implemented the COM object module in Altami Studio apps in the first stage. This standard has been developed by Microsoft to provide communication between software components and applications. The widget which is implemented in the software makes it easy to use Altami’s proprietary technique. This is the GUI element in the app that is required to perform the specified actions (in the case, setting the initial location of the object, re-calculation, and so on). Using the following GUI elements, the Altami’s development department has implemented the technique of determining the shift of the controlled object (drive part). Like all other measurements taken in Altami Studio, it is possible to define the shift of an object in real time. An example can be provided to demonstrate the capabilities of this technique. The original image was moved, and the corresponding image from the camera is shown. The black border indicates the area of attention corresponding to the original image. 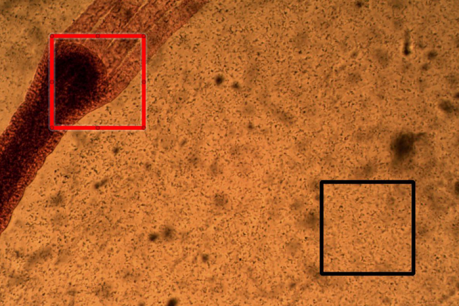 The red box indicates the area found in the moved image. Difference between red and black frames is the offset (shift) of the object. Recording and measurement of the shift of the microobject on the conveyor relative to its original location. Support of interaction between Altami application and the customer’s legacy software. Creation of full-fledged automated control of the production process. 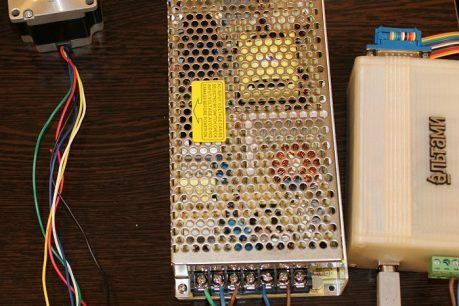 Linking the Motor Converter control program and the application of measurement the mobility of its elements to whole package. The customer’s legacy software must provide a command to the Altami Studio to start measurement and accept measured value back to it. The measurement of the object shift relative to its original location has to be done using Altami’s technique. The Altami Vision implementation on Pavlovsk Engineering plant “Voshod” has ensured a reduction in the costs of production control by 14% compare to its initial situation.